Peter van Pels was 15 years old when he had to go into hiding with his parents. They arrived at the hiding place one week after the Frank family. Peter was the only boy in the Secret Annex. Peter was the son of Hermann and Auguste van Pels. The family was Jewish and lived in Osnabrück (Germany). In 1937, Peter's parents decided to leave because of the Nazis' antisemitism. The family moved to Amsterdam. 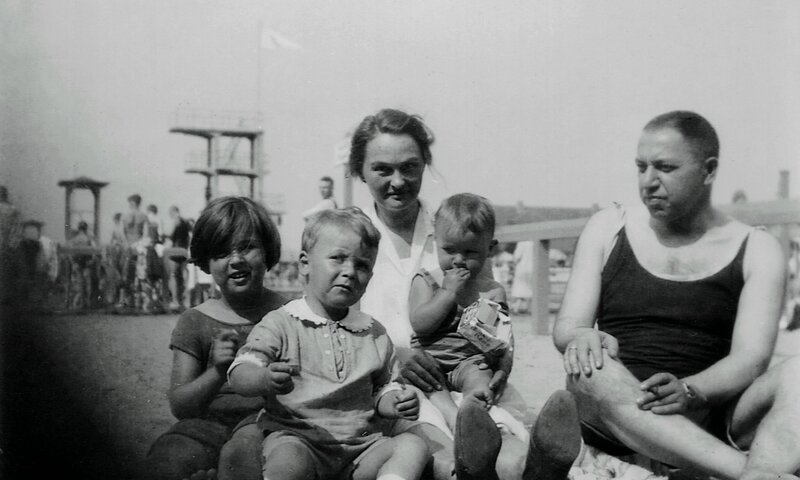 Peter van Pels on the beach with the Jacobson family, around 1927. From left to right: Elsa Jacobson, Peter van Pels, Maria (nanny) with Ralph Jacobson on her lap, father Ernst Jacobson. Only a handful of pictures of Peter have survived. In the only photo of him taken in Amsterdam, he is repairing a chair. It is believed that in 1942, he was taking a course in furniture upholstery. When the number of call-ups for forced labour in Nazi Germany increased, the Van Pels family felt it was time to go into hiding in the Secret Annex. Peter's father worked for Otto Frank and they had agreed that there was room for two families. Because many children are emigrating, a farewell photo is taken of a few boys from Peter's class, around 1936. Peter is in the middle. Peter and his parents arrived at the hiding place on 13 July 1942, one week after the Frank family. His parents allowed him to bring Mouschi, his tomcat, to the annex. Peter was the only one of the eight people in hiding to have his own room. 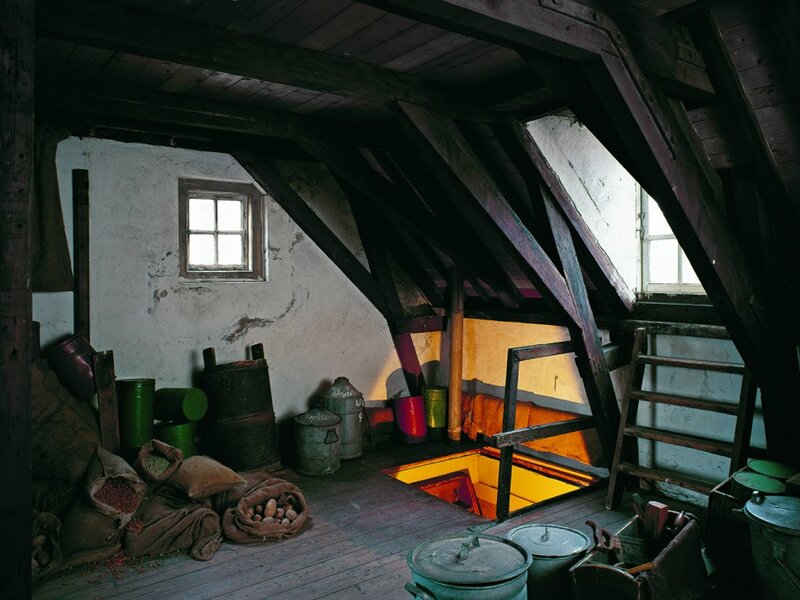 A staircase in the middle of the room lead to the attic and loft of the Secret Annex, where Peter could often be found: tinkering, doing carpentry, and chopping wood for the stove. 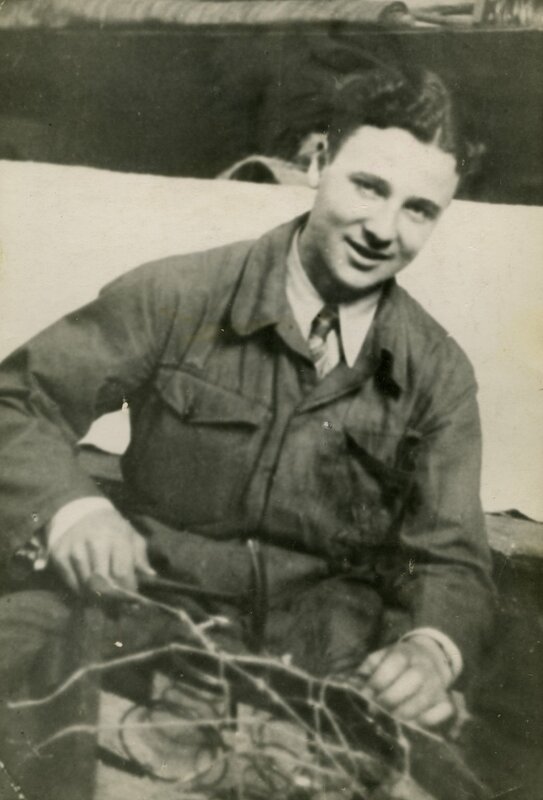 Peter van Pels, May/June 1942. Peter is working on the seat of a chair. The longer they were in hiding, the closer Peter and Anne became. It was Anne who took the initiative: she needed someone she could talk to about her feelings. They began spending more and more time together. Peter and Anne fell in love. They cuddled and kissed in Peter’s room and in the attic. But after a while Anne realised that Peter would never become the friend she had hoped for. She backed off a little, but Peter did not. 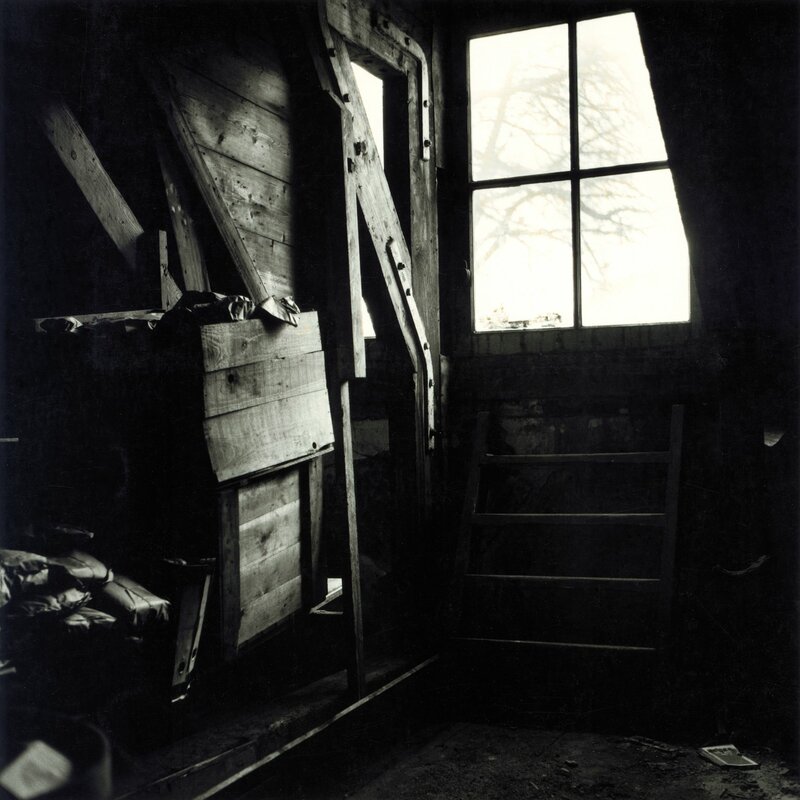 The attic of the Secret Annex, where Peter and Anne like to sit; through the window they can see the chestnut tree. Peter was learning English with Otto Frank when Dutch police officers, headed by SS-Hauptscharführer Karl Josef Silberbauer, raided the hiding place on 4 August 1944. After the arrest, Peter and the others were sent to the Westerbork transit camp. According to a fellow prisoner, Peter and Anne were often together. On 3 September, Peter and his parents - just like the Frank families and Fritz Pfeffer - were put on transport to Auschwitz-Birkenau. On the platform, he saw Anne and his mother for the last time. Peter was assigned to the Auschwitz post room. As a result, he was able to get some extra food from time to time. He would share it with his father and Otto Frank. He was devastated when the Nazis selected his father for the gas chambers in early October. At the approach of the Soviet army, the Nazi leadership decided to evacuate Auschwitz. All prisoners who were still able to walk, had to come with them. Otto Frank was in the sick barracks at the time. He was unable to come and tried to persuade Peter to hide in the sick barracks, but Peter would not have it. He felt that he had a good chance of surviving the march because he was reasonably fit. After a difficult journey, Peter and other prisoners arrived at the Mauthausen concentration camp. The hard labour in the mines of the Melk satellite camp took its toll. Peter fell ill and ended up in the sick barracks. The camp was liberated by American troops on 5 May 1945. 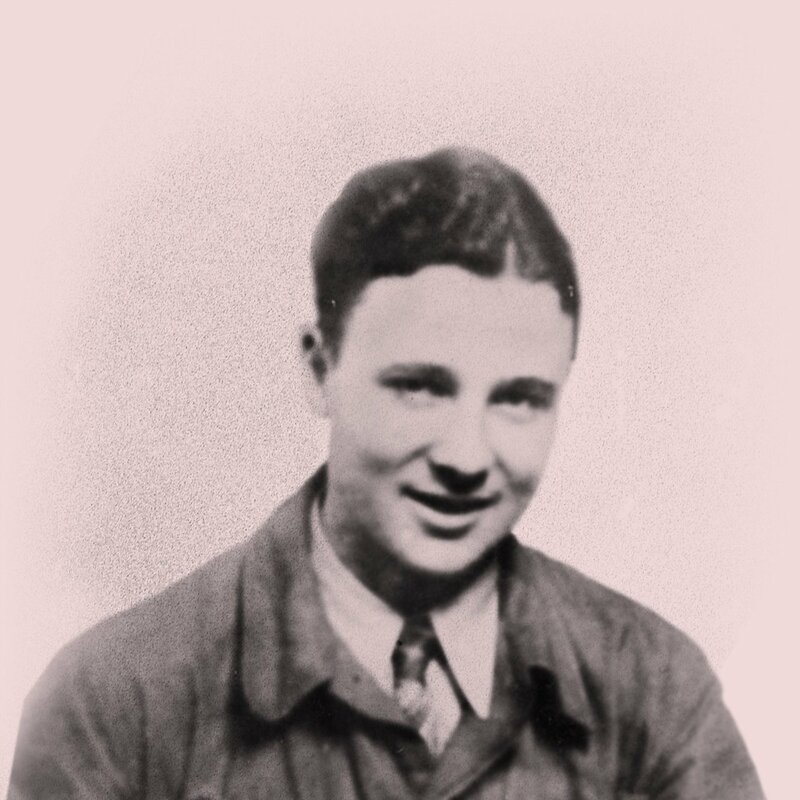 According to a list kept by the medical staff, Peter van Pels died on 10 May 1945. He was 18 years old. Netherlands State Institute for War Documentation [NIOD], The Diary of Anne Frank: the critical edition (New York, NY: Doubleday, 1989), B-version, 21 August 1942. Frank, Otto, "Memories of Anne" (typescript, 1968). NIOD, The Diary of Anne Frank, A-version, 16 May 1944. NIOD, The Diary of Anne Frank, A-version, 16 February 1944.